A majority people don't regard snoring as a sleep disorder. Although not everyone who has sleep apnea snores, excessive daytime drowsiness, and chronic fatigue may be signs of sleep apnea. However, a good number of patients may not be aware of sleep apnea symptoms until their spouses or sleeping partners inform them. Sleep apnea is a life-threatening sleep disorder characterised by difficulties in breathing. One may experience shallow breaths or occasional pauses in breathing. This disorder involves the airway passage getting blocked and causing the person to have a disturbed sleep. A temporary cessation of breathing (apnea) causes the brain to wake the patient but resumes sleep after a few seconds. This type of condition occurs when throat muscles relax as a result of excessive fat accumulation around the neck. Considered the most common type of sleep apnea, it accounts for over 80 percent of all the cases. It is a combination of both the central and obstructive sleep apnea. It normally occurs when an individual with a history of obstructive sleep apnea suddenly develops the central sleep apnea type as well. This condition accounts for 15 percent of all the cases. This is the rarest condition with less than 5 percent of the cases being diagnosed. Unlike the other conditions, this got nothing to do with blocked airway passages. Typically, it results from a malfunctioned brain stem, which is a part of the brain that controls breathing. Oral therapy mouth guards look like sports mouth guards, but they work differently. They are effective treatment options for people with mild to moderate obstructive sleep apnea. 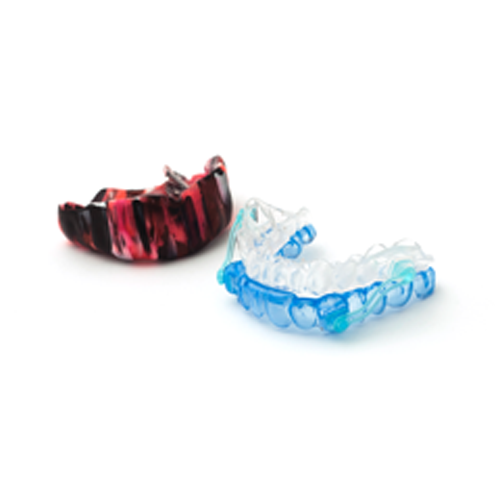 Mouth guards are fitted by a dentist or orthodontist and should be worn in the mouth while sleeping. A sleep dentist will arrange for a mouth impression and create a mouth guard that specifically fits you. 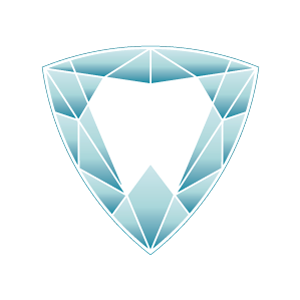 However, mouth guard therapy should only be administered to patients with known complications such as periodontal diseases or broken restorations. They are also intended for individuals aged 18 and above. Incorporated with a mouth guard, self-care may also be an alternative way to deal with obstructive sleep apnea and possibly central sleep apnea. These home remedies include regular exercises, weight loss programs, avoiding alcohol, smoking, and tranquillizers, keeping nasal passages open at night and sleeping on your side or abdomen instead of the back. At Trilliant Dentistry, we offer highly successful sleep apnea treatment to all patients in Milton, ON. Using advanced appliances and oral therapy, our dental professionals ensure relief from sleep apnea and snoring. So take advantage of our specialized services today! For any questions, complications, and comments regarding other dentistry procedures and mouth guards in Milton, do not hesitate to contact us.